Gorilla floor padding by Blue Wave makes the original foam padding a thing of the past. Foam can be penetrated by most sharp objects as well as grass, rocks or tree roots, which are the main reasons for using a liner pad. Foam also absorbs water which causes mold and can deteriorate a liner from underneath. 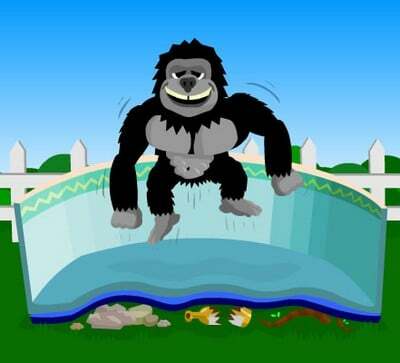 Gorilla pads are made from a revolutionary product called geo-textile. This super strong material was originally used as a lining for massive trash dumps, where a tear would be catastrophic. This type of liner pad is ultra strong and acts as a cushion which will help your pool from developing divots from footprints. The liner is one of the most important parts of your swimming pool and can be a huge expense and headache to replace or repair. 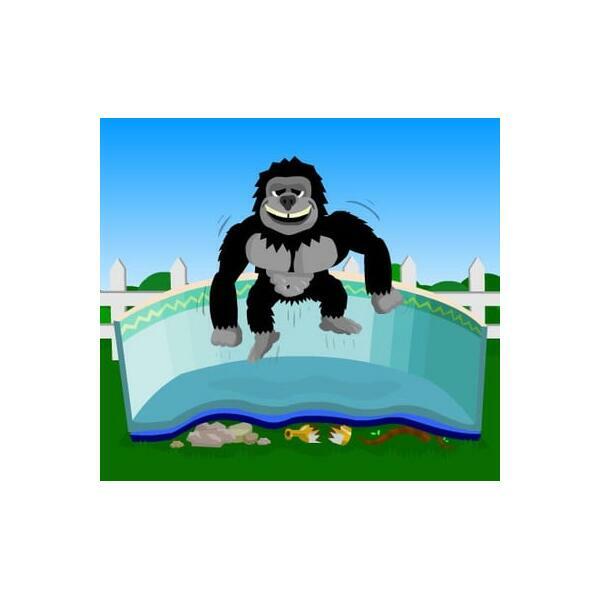 Each gorilla pad is pre-cut to your specific size pool and is easy to install. It is not necessary to cut or use tape as is necessary for all of the foam liner pads. Have peace of mind that your liner will not develop a leak and protect your investment! Select the above choice in the drop down menu for your correct size pool.